The FastBreak Foundation has created the Timberwolves and Lynx Book Mobile, a mobile library to spread the love of reading throughout Minnesota. The Book Mobile offers students an incentive to read by giving them a chance to pick out their very own book to keep, allowing them to read at school and at home. Students also will receive fun prizes and meet Lynx mascot Prowl! 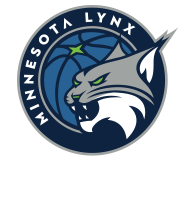 The Minnesota Lynx Inspiring Women Program celebrates women throughout the state of Minnesota who inspire, motivate and encourage others around them through personal and professional leadership. Throughout the season, the Lynx will honor five women who exemplify these qualities.